I kind of stumbled on this game one day as I was browsing through play store and in that moment, two things caught my attention. One was the game’s aesthetic which had this beautiful yet abstract feel to it, and the other was that it was currently free for a limited time. It looked cool and was free so I thought, why not ? And proceeded to hit that purchase button. 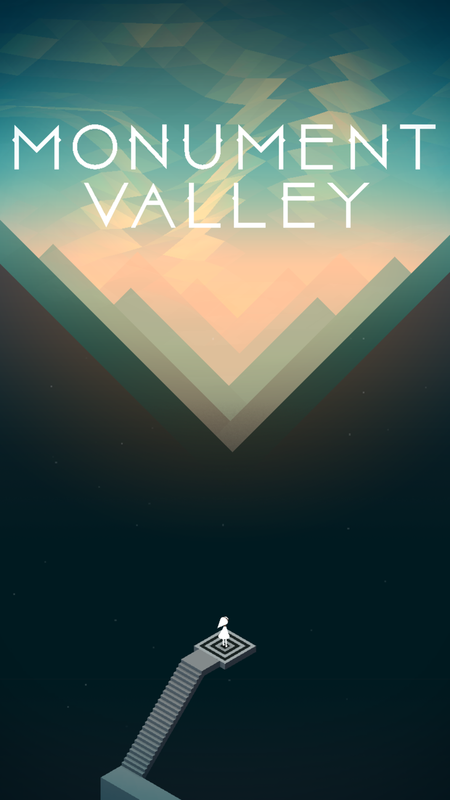 Monument Valley is a very simple game. The entire title revolves around a single core mechanic, perspective shifting, which is applied to each level in various ways. The levels are fairly short. around 5-10 mins each and the game boats 10 levels meaning that the experience is over quite quickly. However, its length doesn’t diminish its value as the experience is quite wonderful. I already mentioned the aesthetic style of Monument Valley and actually playing the game only enhances my opinion of it. The perspective shifting mechanic gives way to a myriad of oddly designed architecture that comprises the game’s levels. In the process of solving the puzzles, the architecture will wrap and shift, opening up or protruding new structures, and the way this all unfolds fits perfectly with the game’s style. As for the gameplay itself, the puzzles presented within the architectures aren’t going tax your brain. Nonetheless, they are still satisfying to solve and seeing the changes in the architectures as a result of my tampering is just delightful. All of this is expounded by the game’s serene soundtrack and mysterious atmosphere which helped elevate the game’s simple tale. Also, all the movable contraptions each play their own little number when you interact with them which is just really neat. As for the story, its a tale about a lost princess seeking forgiveness and the game does an admirable job of conveying that theme. For me, Monument Valley was a short, charming and beautiful little journey that I sincerely recommend you all to check out. As before, I’m always happy to discuss more.